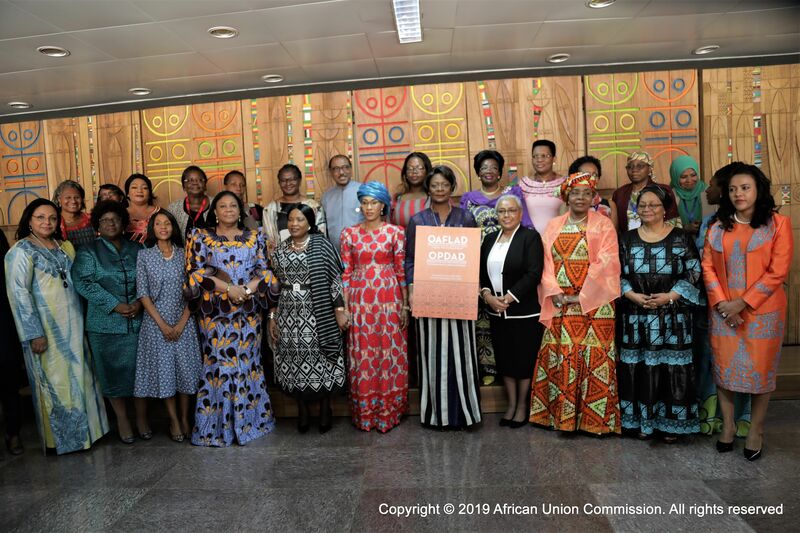 Addis Ababa 11 February 2019 – The Organization of African First Ladies for Development (OAFLAD) which traces its roots to the Organization of African First Ladies against HIV/AIDS (OAFLA) today officially announced its new name - OAFLAD during the 22nd Ordinary General Assembly. During the past 17 years, OAFLA has provided continent –wide leadership advocating for policy and social change, and engaging in resource mobilization efforts at the global, continental and national levels. It also has driven action at the grassroots level communities working with Africa’s most vulnerable including women and children infected and affected by the AIDS epidemic, who also bear the brunt of poverty and social marginalization. The 22nd Ordinary General Assembly endorsed the presentation and launch of OAFLAD New Strategic Plan (2019-2023) which envisions: “A developed Africa with healthy and empowered children, youth and women” with a goal to make a significant contribution to the health and well-being of children youth and women in Africa. Mr. Michel Sidibe, UN Under-Secretary-General and UNAIDS Executive Director testified in his remarks that First Ladies come to the forefront of the struggle to be a voice to the voiceless. He further said: “First Ladies have always been fighting for the restoration of human dignity”. It was emotional moment for the General Assembly as He bids farewell after working for 17 years in partnership. The General Assembly reaffirmed its commitment to advocate with sustained focus, vigor, and determination for the well-being of the most vulnerable persons of our societies in need of special care, support or protection including women, children, orphans, people with disability and the elderly.